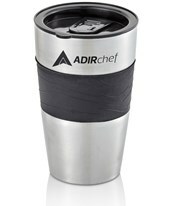 AdirChef manufactures kitchen appliances and utensils that are of professional chef quality. 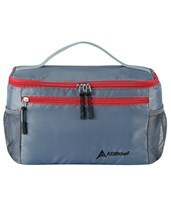 It is a sector of AdirCorp which maintains a strong practice of ongoing development of products and commercial research. 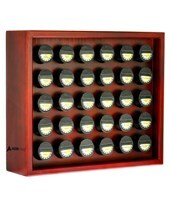 Its products are made of high-quality materials ensuring years of use. The company aims to continuously manufacture state-of-the-art kitchen equipment with the newest technology and the utmost precision and care. 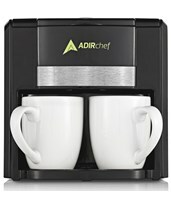 Customers prefer AdirChef equipment for its simplicity in design and inexpensive price. 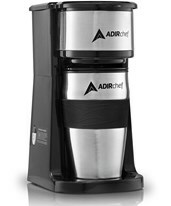 Small Kitchen Appliances made by AdirChef include coffee makers and travel mugs. 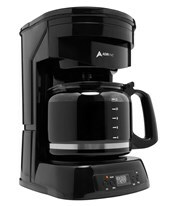 The coffee makers are eco-friendly and are built with features that help cut out waste and save money. These appliances are made with the finest materials to ensure its durability for a long-lasting use. Tiger Supplies is proud to bring these home and kitchen supplies to our customers at a cost-effective price. For inquiries regarding these products, please feel free to contact our friendly and knowledgeable sales representatives. 15 oz. Plastic Black 2.4 lbs. 12 cups High-quality glass carafe Black 3.7 lbs.